Now that you know how you’re going to track your goals & habits you can start preparing to achieve them. It’s important to have a strategy in place when working on goal-setting and building habits so that you can keep moving forward with your goals and achieving more. In this post we take a look at the “9 P’s To Form A Perfect Habit”, we break down what it takes to form a habit that you can sustain, work on and enjoy. How are you going to achieve your goal? Unless you know how you’re going to go about it then you can’t do it! If for example your goal was to lose weight then in your plan you’d set out what exercises you’ll do, what diet you’ll be following etc. Be precise about your goals. Using the example of “losing weight” above, we need to be more precise about how much weight we really want to lose otherwise it’s a bit open-ended. Decide how much weight you want to lose, whether there’s a specific date you want to achieve your goal by – this isn’t necessary but it may be an additional motivator, try to drill down into the finer points of your goal. If you’re working on multiple things, which is the most important? With “Losing Weight” is it more important for you to start and stick to a healthy diet or go to the gym? If you already eat relatively healthily then going to the gym may be more of a priority task for you. Carry out the actions listed in your plan, you won’t get anywhere if you don’t actually do anything about it so with our “Lose Weight” our performing will be prepare healthy meals and go to the gym! Keep checking back in with your plan. Are is working for you? Does it fit in with your lifestyle? Are you able to keep them easily or would changing something help? There’s no point carrying on with your plan if you’re not getting anywhere in achieving your goals or it doesn’t fit in around your job or family. Regularly take a look at where you stand, what you need to do to achieve your goals. Let people know what you’re trying to achieve. Being accountable to others can help motivate you into achieving your goal, they can also provide you with much needed moral support if you begin to struggle in your goal. Track your progress. This will help you keep an eye on how far you’ve come and how far you need to go and also motivate you to carry on with your goals. Celebrate your successes. These rewards – no matter how small – will help motivate you and give you something to look forward to. 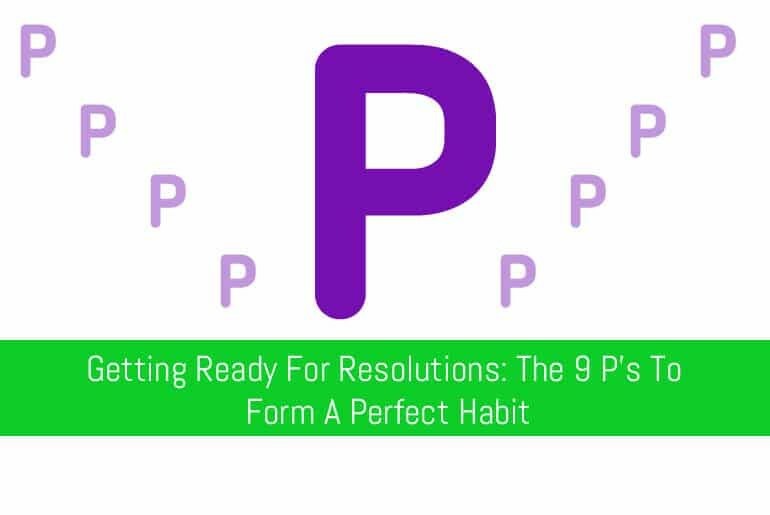 So you have any “P’s” you could add to help achieve goals and keep your resolutions? How do you plan on keeping your resolutions? Let us know in the comments or drop me an email.